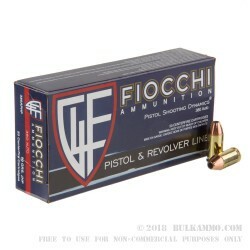 Pistol Shooting Dynamics ammo from Fiocchi has a great reputation among shooters both for its consistent reliability and excellent value. 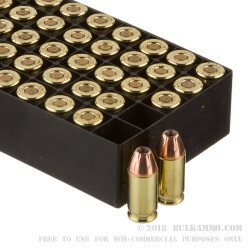 This .380 ACP load features a 90 grain jacketed hollow point bullet, If you intend to carry .380 ACP, this self-defense ammo is priced reasonably enough to be practice ammo as well!. 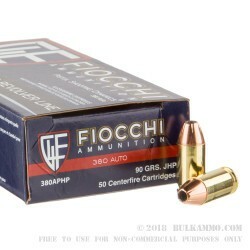 Our feedback on this product has consistently pointed out that there are few, if any issues with feeding on this ammo, and while many .380 loads are fairly inconsistent, Fiocchi has gone to lengths to make sure that this cartridge performs as expected. Fiocchi's factory in Lecco, Italy was occupied by the Nazis towards the end of WWII. As the threat of ceding control of the region to the Allies became imminent, the Nazis decided they should destroy the plant to prevent the Allies from taking control of the strategic asset. Carlo Fiocchi (the son of founder Giulio Fiocchi) led a group of his employees to thwart their efforts, and succeeded in saving it from being destroyed. British and American bombers nearly leveled the factories, but its position on the edge of the mountain protected it from irreparable damage. The workers helped Carlo to rebuild and repair the factory in about a year after the war without any state subsidies or assistance. 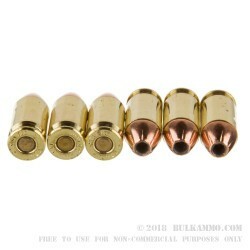 Their efforts have paid off as Fiocchi remains one of the premier ammunition makers in the world.